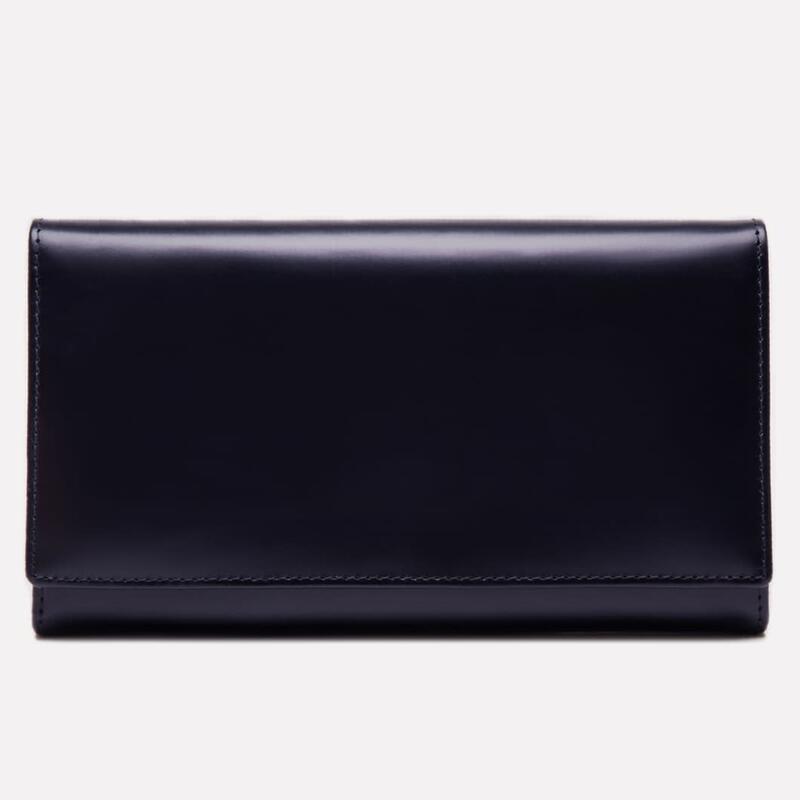 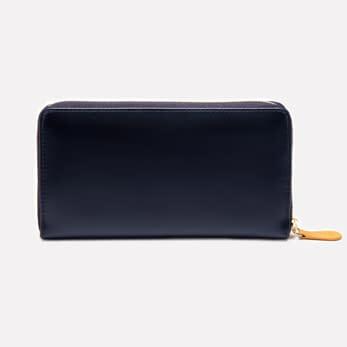 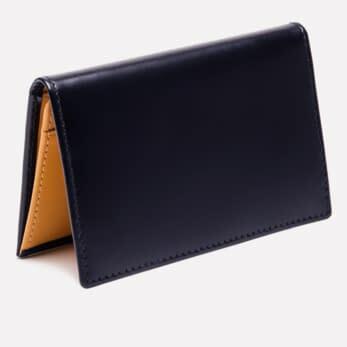 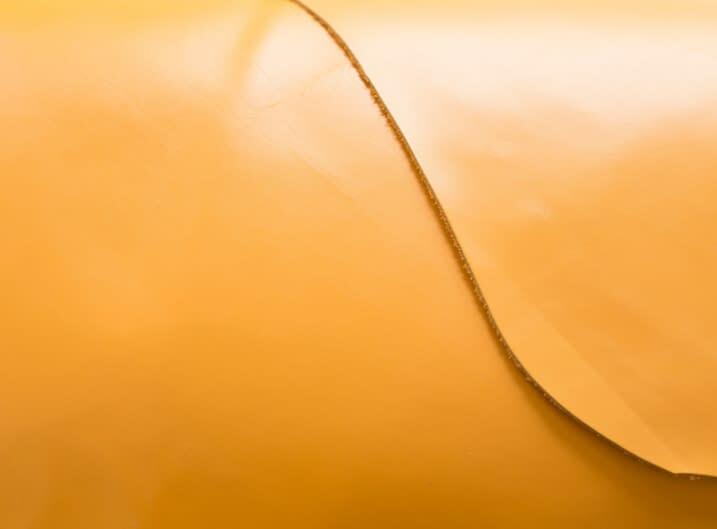 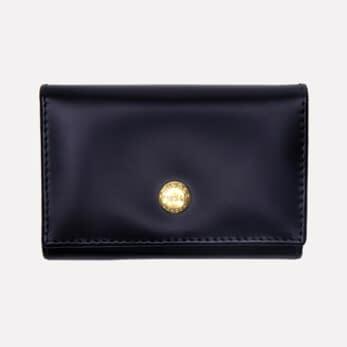 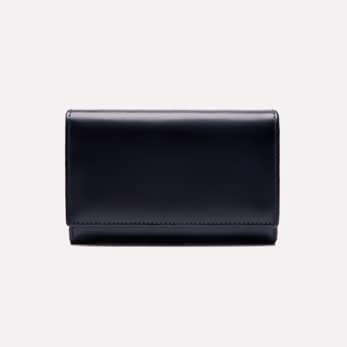 Ettinger’s navy is very dark making this purse discreetly elegant with hidden character. 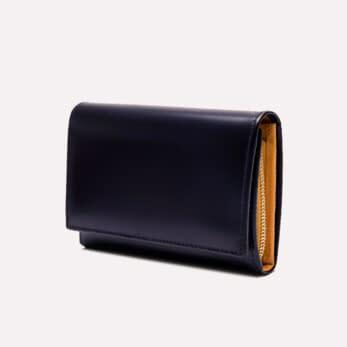 The dark blue colour on the outside hides the golden London Tan and jacquard fabric that lines the pockets. 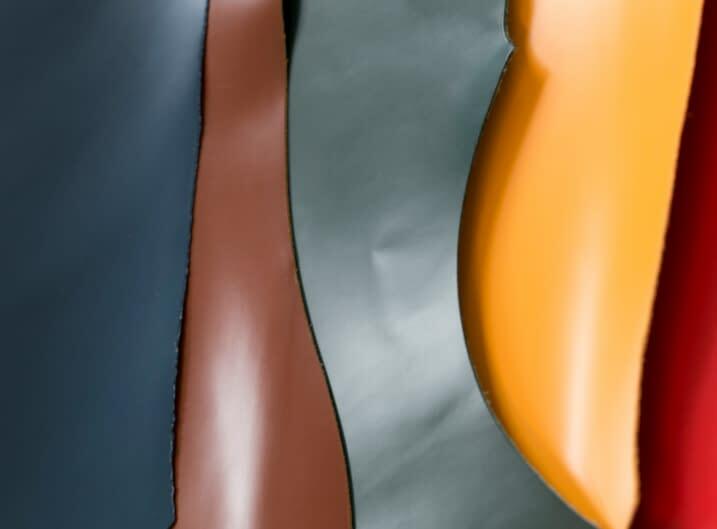 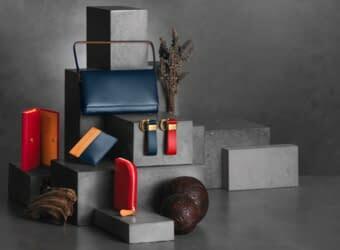 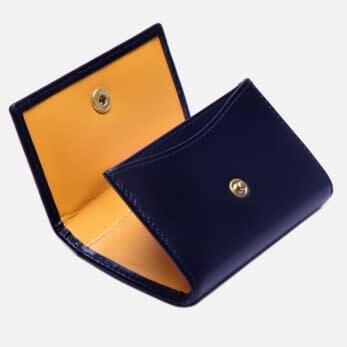 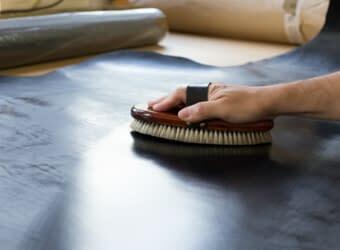 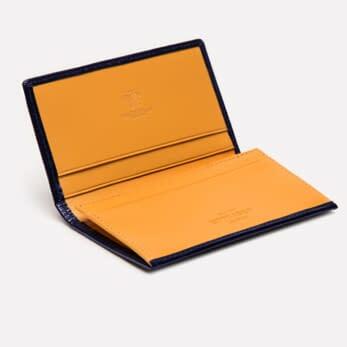 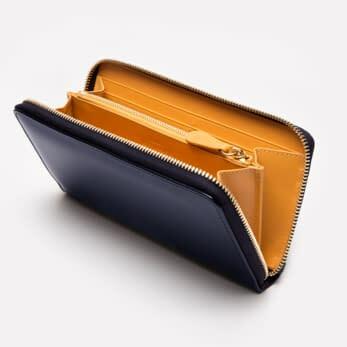 There are many different pockets on the inside, which fits everything from notes and cards to slim phones, even a small set of keys and passports, making it an incredibly multifunctional purse to be used as an everyday item, a travel wallet or as a small clutch. 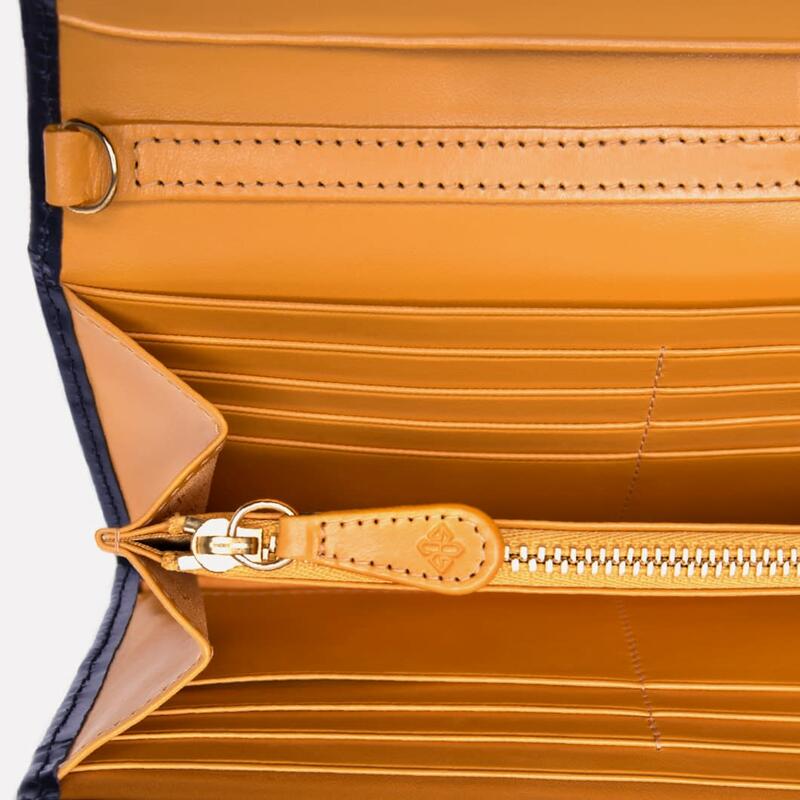 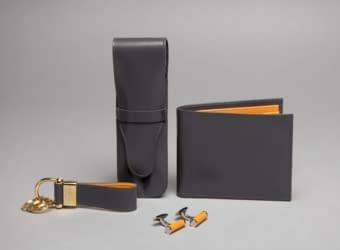 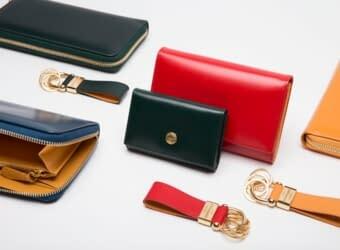 The outside pocket is very useful for those items you want to easy access without having to open the purse. 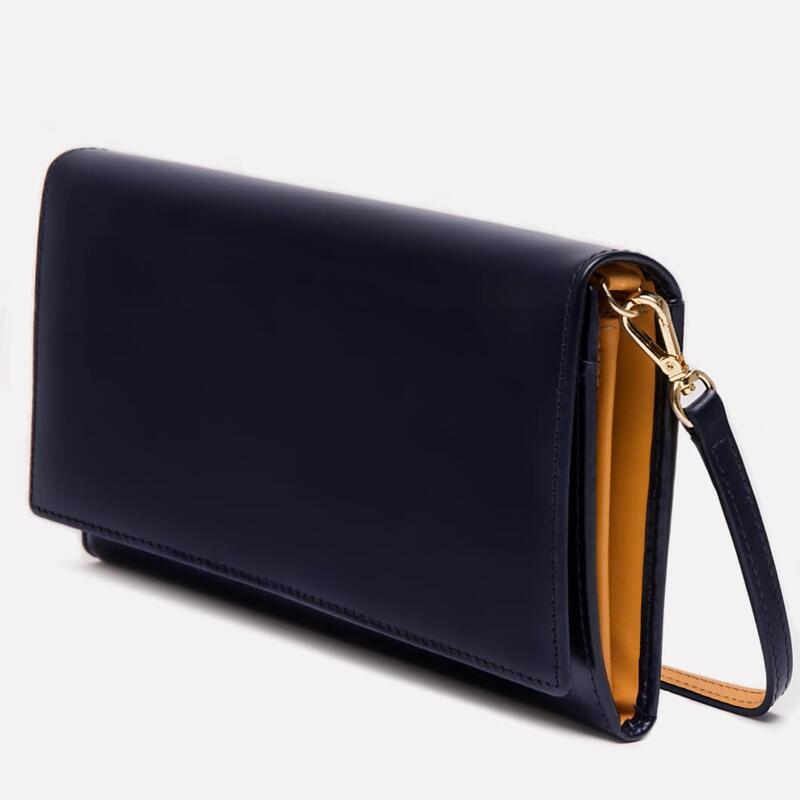 This purse comes with a detachable strap, which can be used as a wristlet or as a small handle which can hang around your arm.